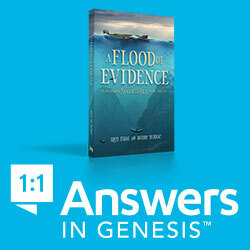 ​​It's amazing how many are perverting the text of Genesis 6 with their assumptions, lies, and mythology. Modern preachers have pushed the Gospel aside to jump on the bandwagon of others teaching about the Nephilim and fallen angels. It appears that speaking about bizarre topics like giants, UFO's, and angels procreating with human women draws crowds of followers and rakes in money from book sales and conferences. The church once had the discernment to see through lies and error, but now people are being tossed about with every wind of false doctrine that comes along. 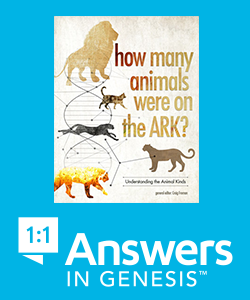 We hope that we can restore the correct biblical understanding of Genesis 6 for our readers and point out the errors taught about the events in this chapter. Who's involved in the events occurring in Genesis 6? What's their part in the events? What does the context of the Bible say? Let's give the Bible an opportunity to interpret and define the Bible. Men - "men began to multiply on the face of the earth" Genesis 6:1. Some claim these men are from the line of Cain, but it's more likely all men on the earth displaying an ungodly character are given this label. We can make this claim by the division between men and sons of God, with the sons of God being associated with God, in covenant with God (Gen. 6:9,18), and followers of God. Noah was called a "preacher of righteousness" (2 Peter 2:5) so it was possible for every man or woman on the earth at the time to become a son or daughter of God, even from the line of Cain. The Daughters of Men - "and daughters were born unto them [Men]" Genesis 1:6. The term "Daughters of" is a term frequently used in the Bible to show an association, such as 2 Samuel 1:20, “daughters of the uncircumcised,” and Genesis 24:3, “daughters of the Canaanites.” Since Moses wrote the Book of Genesis, it's likely Genesis 6 was an illustration to the Israelites of the consequences that will occur if they intermarry with the pagan nations surrounding them. A warning to godly men and women not to mingle with the ungodly or you will be destroyed. As we can see in Ezra 9:2 there was a difference between the “holy seed” compared to the unholy people, just as there was a difference between the daughters of men and the Sons of God in Genesis six, or the difference between the sons and daughters of Israel and the sons and daughters of the idol worshipers. Sons of God - No angelic being at any time was called "son of God." Hebrews 1:5 says: "For unto which of the angels said he at any time, Thou art my Son, this day have I begotten thee? And again, I will be to him a Father, and he shall be to me a Son?" God never called an angelic being "son" and never said he was their father. Sons of God are godly men identified as followers because they follow and serve God. See our study which proves angels are not sons of God, especially fallen angels. Click Here. "And thou shalt say unto Pharaoh, Thus saith the Lord, Israel is my son, even my firstborn: And I say unto thee, Let my son go, that he may serve me: and if thou refuse to let him go, behold, I will slay thy son, even thy firstborn." Exodus 4:22-23 KJV. No angelic being is ever called a "son" in any writings attributed to Moses, only humans in covenant with God. Moses would not identify fallen angels with the title "son of God." Giving these fallen angels the title "son of God" would corrupt the title which later is given to Christ and to all believers blessed and granted that title by God. Noah - "Noah was a just man and perfect in his generations, and Noah walked with God." Genesis 6:9 KJV. He and his family were the last of the godly people to exist on earth. He walked with God, and was righteous, "And the LORD said unto Noah, Come thou and all thy house into the ark; for thee have I seen righteous before me in this generation." Genesis 7:1 KJV, see also (Ezekiel 14:14, Hebrews 11:7, and 2 Peter 2:5). "Wherefore rebuke them sharply, that they may be sound in the faith; Not giving heed to Jewish fables, and commandments of men, that turn from the truth." Titus 1:13-14 KJV - The Book of Enoch is Jewish Fable, which Paul told us to avoid. - We are instructed to pay no attention to fables, and the Book of Enoch is filled with fables. "But refuse profane and old wives' fables, and exercise thyself rather unto godliness." 1 Timothy 4:7 KJV - Refuse to listen to old wives' fables, folklore, and myths like the Book of Enoch. "Hold fast the form of sound words..." 2 Timothy 1:13 KJV - The Book of Enoch is not considered "sound words." "But evil men and seducers shall wax worse and worse, deceiving, and being deceived. But continue thou in the things which thou hast learned and hast been assured of, knowing of whom thou hast learned them; And that from a child thou hast known the holy scriptures, which are able to make thee wise unto salvation through faith which is in Christ Jesus." 2 Timothy 3:13-15 KJV -- We are to continue with what we have learned through the Bible alone. We don't need myth to explain the scriptures because legends like to Book of Enoch only causes confusion and deception. According to the Book of Enoch, Angels Made An Oath to Marry and Have Children With Human Women on Mount Hermon. If one has a problem accepting that debunk of the Book of Enoch, then consider the following verse: "And we took at that time out of the hand of the two kings of the Amorites the land that was on this side Jordan, from the river of Arnon unto mount Hermon; (Which Hermon the Sidonians call Sirion; and the Amorites call it Shenir;)" Deuteronomy 3:8-9 KJV. Here we see the Amorites call Mount Hermon "Shenir" and the Sidonians (Genesis 10:15,19) call it "Sirion." So, to these tribes, the mountain range is not known as "Mount Herman," but by other names. It's likely that Mount Shenir/Sirion (as known by the Amorites and the Sidonians) received a secondary name "Mount Hermon" because it was associated with a Cannanite god "Baal-Herman" (Judges 3:3, 1st Chronicles 5:23). We can back this hypothesis by a second biblical example of "Mount Peor" being associated with the Moabite god "Baal of Peor" (Numbers 23:8 and Numbers 25:1-5). Therefore, mountains like Mount Peor and Mount Herman were probably not around during the pre-flood era, and likewise, the names Baal-Hermon and Mount Herman did not exist until after the flood. So, the Book of Enoch is wrong; fallen angels could not meet on Mount Herman before the flood. ​Book of Enoch Chapter 7. How could the land of Dan be around in the pre-flood era, long before Dan (the son of Jacob) was born? Also, the area identified in Enoch 13:7 was not the original location of Dan, because the entire tribe moved north near Mount Hermon after they were assigned land by Joshua (Joshua 19:40-48 and Judges 18:1-31). Therefore, the writer of the Book of Enoch chapter 13 could not have been a pre-flood era writer or Moses as some claim. ​A Siren is a half woman and half bird creature. So, the Book of Enoch claims the human women that mated with angels turned into Sirens, creatures from Greek mythology. Jesus said: "For in the resurrection they (men and women) neither marry, nor are given in marriage, but are as the angels of God in heaven." Matthew 22:30 KJV. The sons of God can't be angels because angels can't have marital relationships. "And of the angels he saith, Who maketh his angels spirits, and his ministers a flame of fire. Are they not all ministering spirits, sent forth to minister for them who shall be heirs of salvation?" Hebrews 1:7,14. Angels are spirits, and Jesus said: "...spirit hath not flesh and bones, as ye see me have." Luke 24:39 KJV. To claim angels have or can produce a body of flesh is to call Christ a liar. Angels may appear as men, but they are still spirits and cannot create a body of flesh. If spirits could create a body of flesh, then Christ could not say "spirit hath no flesh." Therefore, if angels are only spiritual beings, they would not be able to procreate with women and seed the birth of a child. Besides, there is no biblical record of women angels or angel children so there would be no need for a spirit being needing reproductive parts to have spirit children in heaven. "There were giants in the earth in those days; and also after that, when the sons of God came in unto the daughters of men, and they bare children..." Genesis 6:4 KJV. Verse 4 shows that before the sons of God and daughters of men came together to procreate children, the Nephilim/giants already existed on the earth. Therefore, the idea that Nephilim/giants are only through angels and humans mating is false. Giants/Nephilim also appeared during the time of Moses, which are not offspring of fallen angels but are sons of a human man, the sons of Anak (Numbers 13: 32-33). People that believe fallen angels mated with humans also think fallen angels corrupted the DNA of all human flesh, which forced God to flood the earth. False! The flood was about humanity being wicked and violent, and men didn't need help from angels to corrupt the world with wickedness. The Bible never says angels were created in the image of God. Angels and humans are not the same "Kind." Therefore, it would be impossible for angels to mate and produce offspring with human women. Various kinds are designed to stay within their created kind. It would not be biologically possible for angels to create offspring from humans even if they did have a physical body, which they don't -- Angels are spirits. The word "angel" is used in Genesis 16:7, 9, 10, 11, 19:1, 19:15, 21:17, 22:11, 22:15, 24:7, 24:40, 28:12, 31:11, 32:1, and 48:16. Even Satan is called a "serpent" in Genesis 3:1,2, 4, 13, and 14. There is no reason for Moses to call fallen angels "sons of God" in two verses of Genesis (Genesis 6:2,4) when the word angel is used multiple times in Genesis to describe heavenly beings. The myth of angels mating with human women likely originated from Jewish fables (folklore) written during the second temple period (530 BC to 70 AD), in literature like the Book of Enoch. Some take the Book of Enoch as scripture and others as an accurate historical or religious text, but that's giving the Book of Enoch more credit than it deserves. The Book of Enoch is far from biblically accurate and is full of lies and mythology. To put any faith in the accuracy of the Book of Enoch would be the same as trusting in Gulliver's Travels to explain the world we live in. The Apostle Paul tells us multiple times to avoid and give no regard to fables like the Book of Enoch or similar second temple literature (Titus 1:13-14, 1 Timothy 1:4, and 1 Timothy 4:7). So every believer should take heed of Paul's inspired instruction and disregard what the Book of Enoch has to say about Genesis 6 or anything else about the Bible. Do a search online for the Book of Enoch and you will find countless occult website promoting the text of that book. It appears Satan want's to promote the message contained in the Book of Enoch. The claim that the "sons of God" are fallen angels is not only false but also a demonic attack against the meaning of the title "son of God," which is a title given to God's covenant people and Christ. No angel was ever called a son of God (Hebrews 1:5). See our teaching on why the sons of God cannot be angels for more information. Click Here. ​The message of Genesis chapter six is not about angels mating with human women. There is no biblical support for angels mating with women before the flood, and if it were true, it would have no bearing on future generations because the flood would have destroyed their progeny. What would be the moral of that false story to teach future generations? Nothing! The Bible never reports angels mating with women before or after the flood and does not warn us of the possibility angels will lust after women and mate with them because that never happened and will never happen in human history. If it was true that angels can mate with human women then why isn't the Anti-Christ half Satan and half human? Of all people in prophetic and human history, wouldn't it be the highest priority that the Anti-Christ be half Satan and half human? However, you won't find a passage of scripture that proves Satan will mate with a human woman to give birth to the Anti-Christ. The real message of Genesis chapter six is a warning of what can happen when godly people intermarry with ungodly people. Moses repeats this warning over and over again in the Torah, and it's a message repeated throughout the Bible. Genesis 6 is an example to Israel and to future generations of believers of what happened when daughters of men (ungodly women) married sons of God (godly men). Therefore, Moses gives us both instruction and an example of why we should not be unequally yoked with unbelievers. See: Genesis 24:3, Genesis 28:1, Exodus 34:16, Deuteronomy 7:34, Joshua 23:12-13, 1 Kings 11:2, Ezra 9:2, Nehemiah 9:2, Nehemiah 10:29-30, 1 Corinthians 6:14-18. Too many have strayed from the simple message of Genesis 6 by complicating it with bizarre events and false narratives. We can't add to God's word and rewrite the text or interpret it through the lens of Jewish fables and the mythology of pagan cultures. God's word is about truth, not fables. If anyone promotes a false Genesis 6 narratives and teaches about angels mating with women, or teaches from the Book of Enoch, then it might be time to search for a new teacher or pastor. Question: Doesn't Jude 1:6-7 prove the angels mated with human women? People who attempt to defend the faulty teaching of angels mating with women will try to link Jude 1:6 with verse 7 about Sodom and Gomorrha and claim angels went after "strange flesh" as Sodom and Gomorrha did. Before we correct this faulty interpretation, it's important to note that the context of Jude is about God's judgment on the wicked and rebellious. Verse five is about Israel being brought out of Egypt, and some of the Israelites were destroyed. Why were they destroyed? Jude says because they "believed not," so no lustful activity was involved. So why do people assume verse 6 about the angels must be related to sexual sins like Sodom and Gomorrha? The clear message is that the angels "kept not their first estate, but left their habitation..." nothing is mentioned about the angels mating with human women. When the Bible says they "kept not their first estate, but left their habitation...," this means they left their "arché" in the Greek, which is their dominion, their rule, assignment, and the purpose for what they were created. They refused to obey God and tried to rise up to a higher domain then that which they were assigned. Revelation chapter 12 describes this battle of rebel angels and their fall from heaven (their former habitation). Read the entire chapter of Revelation 12 and you will see the fall took place before the birth of Christ because Satan waited for the woman to give birth to Christ. Also, Christ said he saw Satan fall from heaven, which would have occurred before he came to earth in the flesh. The battle of rebellious angels took place perhaps just after God completed the creation of all things because we know Satan was already in a fallen state in the Garden of Eden. The only sin recorded in the Bible connected to angels is rebellion and pride -- Not sin! Now some will attempt to claim the Greek grammar found in Jude 1:6-7 implicates the angels as being sexually perverse like the inhabitants of Sodom and Gomorrah, but this is an incorrect interpretation of the Greek grammar. So, we need to understand Jude 1:7 is not referring to the angels in the previous verse but to the inhabitants of Sodom and Gomorrah and the surrounding cities when it mentions the sins these cities participated in. The angels were not involved in the same sins as Sodom and Gomorrah or the surrounding cities. Angels fell because of their pride and rebellion alone. Barnes, Albert. "Commentary on Jude 1:7". "Barnes' Notes on the New Testament". ​ Calvin, John. "Commentary on Jude 1:7". "Calvin's Commentary on the Bible". https:https://www.studylight.org/commentaries/cal/jude-1.html. 1840-57. Coke, Thomas. "Commentary on Jude 1:7". Thomas Coke Commentary on the Holy Bible. https:https://www.studylight.org/commentaries/tcc/jude-1.html. 1801-1803. Faussett​, A.R. "THE GENERAL EPISTLE OF JUDE Commentary." "Commentary Critical and Explanatory on the Whole Bible." http://www.ccel.org/ccel/jamieson/jfb.txt​. 1871. (GNT) Scripture taken from the Good News Translation in Today’s English Version- Second Edition Copyright © 1992 by American Bible Society. Used by Permission.